Former Thunderbird basketball player Jamal Aytes has signed with Starwings Basel to play professional basketball in Switzerland. Aytes had a strong senior season for Southern Utah, leading the team in rebounding and finishing second on the team in scoring average. He also led the team in made field goals and shot 58 percent from the field. He transferred to Southern Utah for his senior season after spending time at UNLV and BYU. Starwings Basel competes in the Swiss Basketball League, which is the highest tier of basketball played in Switzerland. 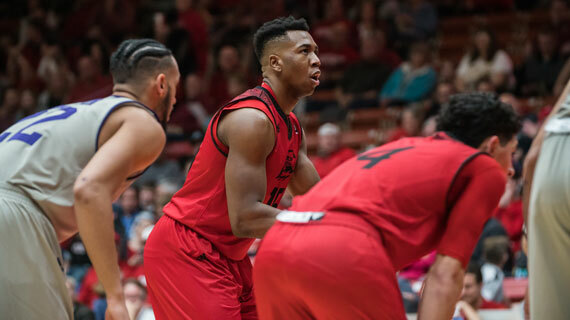 Aytes has been busy since the 2017-18 season ended for the Thunderbirds, participating in Southern Utah’s Pro Day and playing in the 3X3U National Championship.